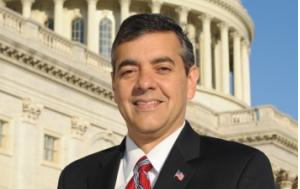 Florida Republican Congressman David Rivera introduced a conservative alternative to the DREAM Act last week called "Studying Towards Adjusted Residency Status" or STARS Act. This piece of legislation would allow undocumented immigrants under the age of 19, who arrived in the country before the age of 16, and who demonstrate good moral conduct and get admitted to college to apply for a five year non-immigrant status. Congressman Rivera was inspired to write this bill by the case of Daniela Pelaez, a Colombian-born high school valedictorian who faced deportation. Many young immigrants have found themselves stuck in limbo due to our failure to address immigration reform. Such is the plight of my constituent, Daniela Pelaez, who came here from Colombia with her family when she was four. They overstayed their visas and she has now been ordered deported. Next week, Daniela, who is here with us today, will graduate as valedictorian from North Miami High. Having maintained a 6.7 GPA, she has received a full scholarship to Dartmouth University. In order to assist students like Daniela, today I am introducing the Studying Toward Adjusted Residency Status or STARS Act. The STARS Act would allow undocumented students who arrived here at a young age, graduated from high school and are accepted into a university, to apply for a five-year conditional non-immigrant status. During that five year period, they can focus on their college education and once they graduate, have their conditional status extended and work toward achieving residency. This legislation can make the American dream a reality for young people like Daniela, who through no fault of their own, are prevented from realizing their full potential in this land of opportunity. I ask my colleagues to join me in supporting this legislation to help Daniela and others like her who are as American as anyone born in the United States, and who simply need a chance to continue being productive Americans.